Mysterious and fascinating are the clock movements of this indicator of perceptions which is the pendullum. All human beings and substances vibrates and has its own vibrations. All vibrations can be perceived. 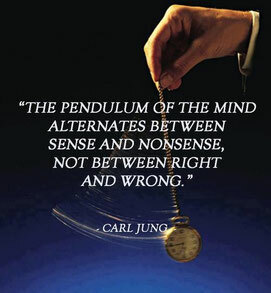 You are sensitive to the pendulum and you want to be "initiated" to its use beyond the traditional simple answers of "YES / NO" ? Transmission of a few little secrets known by a medium-dowser that can make a big difference. It will also be an opportunity for you to discover a facet that may be unknown to yourself in your relationship with Heaven and Earth and to foray into the World of non-ordinary perceptions. You wish to address and deepen the field of mediumship ? I am willing to accompany you on this journey in pace with your sensitivity and spiritual evolution. lived the way to understand and deeply sense the true feeling. Then develop your sensitive talents through time and experience to communicate with wisdom. Feel free to ask and let's discuss it together if you wish to know more about it. Want to learn to interpret the Oracles ? I have different decks to choose from. From "events" to more "spiritual" - or more "traditional". Your sensitivity will definately make the right choice. Information & inscription : send me an e-mail. indicating which subject is of interest to you and your contact details. For having from time-to-time observed an abusive and/or erroneous use of the media by some so-called "well-intentioned" persons, I now reserve myself to choose to discontinue any form of "transmission" if the person’s code of conduct and ethics are not accurate and sincere. not to fullfill our ego".